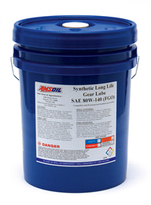 AMSOIL Gear Lubes provides performance beyond that possible with conventional gear oil. AMSOIL Gear Lubes offers superior gear and bearing protection, better friction and heat reduction, increased efficiency and extended service life. 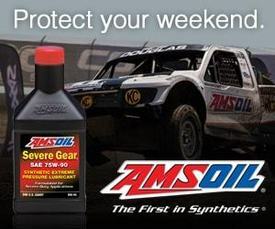 AMSOIL Gear Lubes are excellent for severe applications, such as towing, hauling, steep-hill driving, commercial use, plowing, racing, off-road use, rapid acceleration, frequent stop-and-go operation and high ambient temperatures. Higher horsepower, towing and hauling capabilities of modern vehicles make turbo-diesel pick-ups, SUVs, vans and delivery/utility vehicles especially prone to severe service. Other severe-duty vehicles include light, medium and heavy-duty trucks, buses, heavy equipment, 4X4s, tow trucks, race cars, tractors and motor homes.